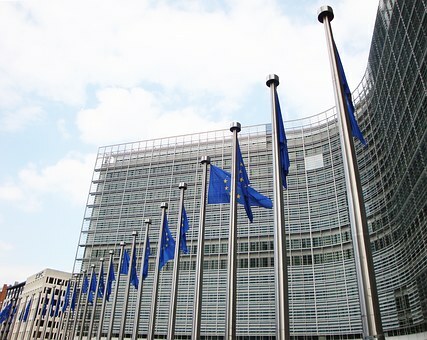 The European Commission remains on its summer break this week so there are no formal Brexit negotiations, however the British government continues to further outline its views, publishing another position paper this week which has provided more evidence on the likely shape of the final UK-EU relationship at the end of the Brexit process. This week's proposals from the UK are regarding the court system which could be used to govern the UK-EU relationship. A future court system is a key part of the negotiations because any new relationship will need to be governed by some sort of nominally impartial court framework. Without such a system neither side can be sure that the other will keep to the rules. For example, if the UK government believed that an EU country was breaking the rules it could not trust an EU-only court like the European Court of Justice (ECJ), historically viewed as tied to the EU's political interests, to be an impartial arbiter of any dispute. Likewise, despite the greater history of conflict between UK courts and our government, some within the EU would not believe that UK courts would be impartial dealing with a foreign complaint against the UK government. This is why the ECJ was originally set up, to rule on disputes within the EU but it is also why the UK government doesn't want to be bound by it once the UK leaves the EU. UK companies or individuals are not guaranteed to get a fair hearing as it is an institution belonging to the organisation against whom the complaint would be made. The issue of who resolves disputes is probably one of the most difficult in international agreements and it has been one of the most controversial parts of both the EU-US trade agreement (TTIP) and the EU Canada agreement (CETA), with huge NGO and pressure group campaigns against the new court systems. In both those cases a totally separate court system was proposed, with input from both sides. However they are very controversial mainly because a court could overturn a government decision if that decision is contrary to the rules they agreed to in these agreements. Yet, without them there can be no real way to enforce the rule of law in international agreements and therefore provide trust for people investing or doing business abroad. Some sort of court system will be needed for any EU-UK agreement to work. In fact such a court will be crucial because the relationship is likely to be deeper than just trade. Security cooperation, criminal databases, aviation, research and many other issues are probably going to be included, all of which will need some court system to underpin the agreement. Otherwise any arrangement is unlikely to survive the first significant disagreement that emerges in the future. The political challenge for the UK has always been which court system could satisfy the UK desire to not be bound by ECJ jurisdiction, but would be strong enough to provide effective dispute resolution. A brand new UK-EU court is feasible in the long run, but is unlikely to be achievable within the next 18 months. A more workable option could be the court used by the European Free Trade Association (EFTA) and this is what has been included in the UK government position presented this week. This option has been touted in Brussels for some time, primarily by the EFTA court itself, which believes it can do the job. Currently it rules on disputes between the EU and ETFA members Iceland, Norway and Liechtenstein. However the court can also rule on disputes involving non EFTA members. So there would be no legal obligation on the UK to join EFTA, although it would bind the UK closer to that organisation. In addition the EFTA court's rulings are not binding in the way that ECJ rulings are. So on the surface at least it would appear to tick all the boxes in addressing the UK red lines in the negotiations. However there are also drawbacks to this approach. The EFTA court uses judges from EFTA members so unless there is a reorganisation of the court the UK would not necessarily be represented in it. Also as a large country, 17 times bigger than the other ETFA countries combined, UK cases could overwhelm the court very quickly unless it has some sort of internal reorganisation. It is also designed to rule on issues surrounding the ETFA/EU relationship and not the specific new UK/EU relationship. In addition, the EU has to agree to this, which is not guaranteed as the EFTA court is weaker than the ECJ, with rulings that are often non binding. UK involvement would also strengthen EFTA, and its negotiating positions with the EU, even if the UK wasn't a formal member. Yet there needs to be some sort of court system in place in 18 months time, the EFTA court could fill that gap, although it is unlikely to be a long term solution for political and practical reasons, more a stop gap arrangement. So when Brussels comes back to life next week, this will be one of the most pressing issues. Up to now it has been one of the biggest elephants in the room. Everyone knows that there needs to be a court system if the UK leaves ECJ jurisdiction, but the issue has been so deadly in recent trade negotiations, their political third rail, that no one has wanted to touch it. Primarily because of the toxicity of the alternatives, I think there is a chance that the EFTA court may get support on both sides, at least in the short term.